If you are not receiving a timely response from anyone on the list above, please contact the Director of Online Programs (wteufel@sterling.edu).  Complaints that are not resolved by Sterling College may be directed to the Kansas Board of Regents, using their complaint procedure as outlined . We sincerely hope that utilizing the list above will address any concerns that may arise. However, if you wish to file a complaint with your state, their contacts are a list compiled by the State Higher Education Executive Officers . This only applies to online students who reside outside of Kansas.